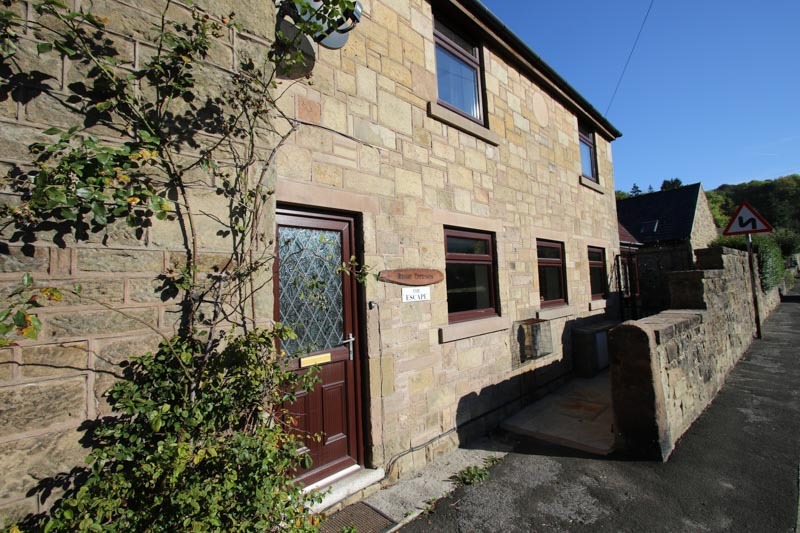 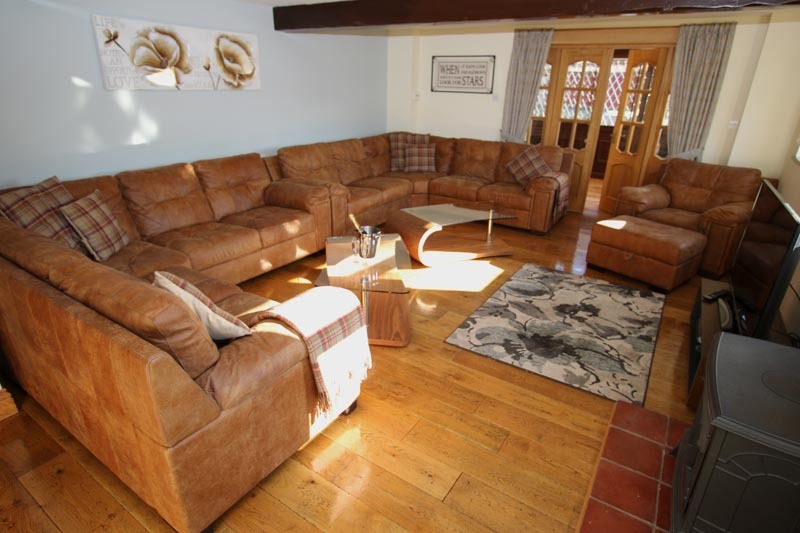 This property is in the small village of Two Dales, between Matlock and Bakewell and is set just outside the Peak District National Park surrounded by the beautiful Derbyshire Dales Countryside. 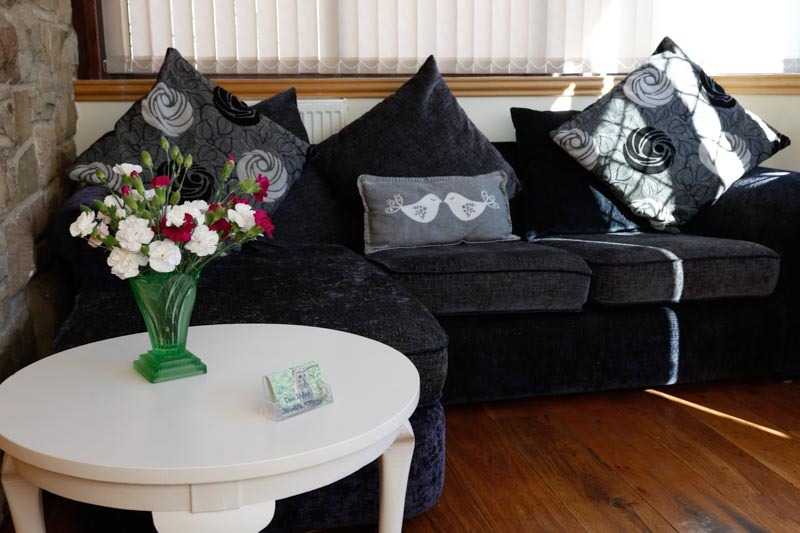 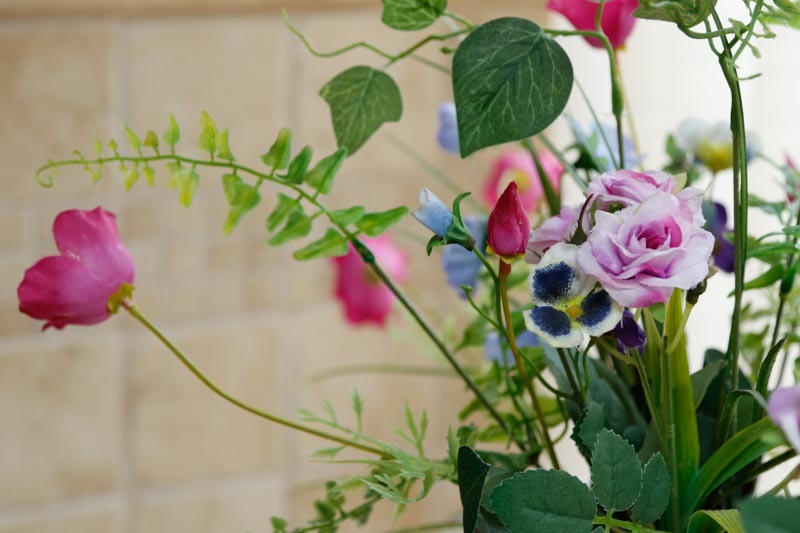 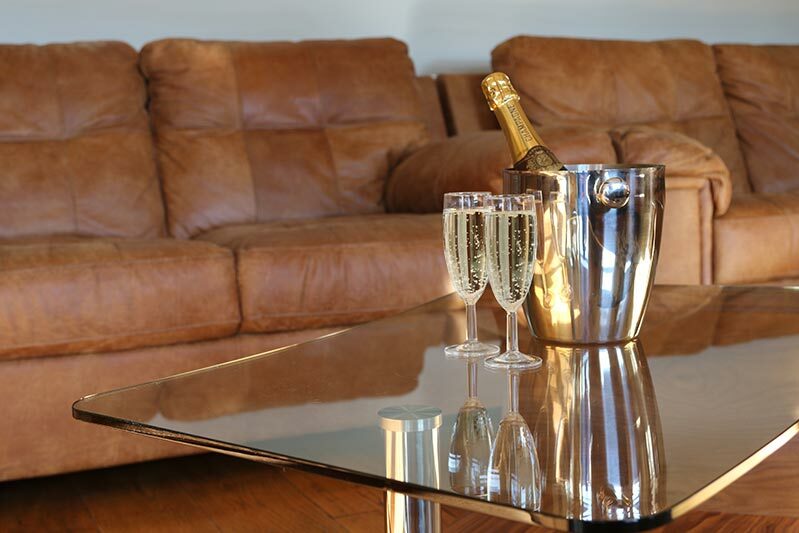 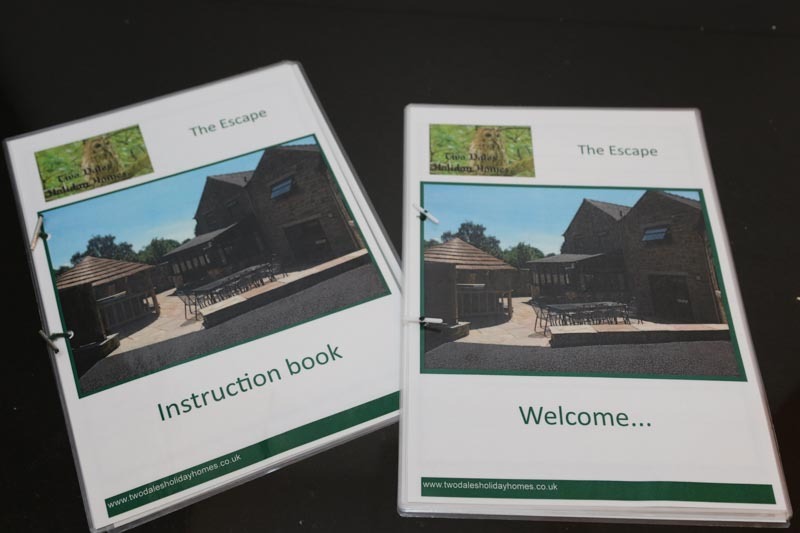 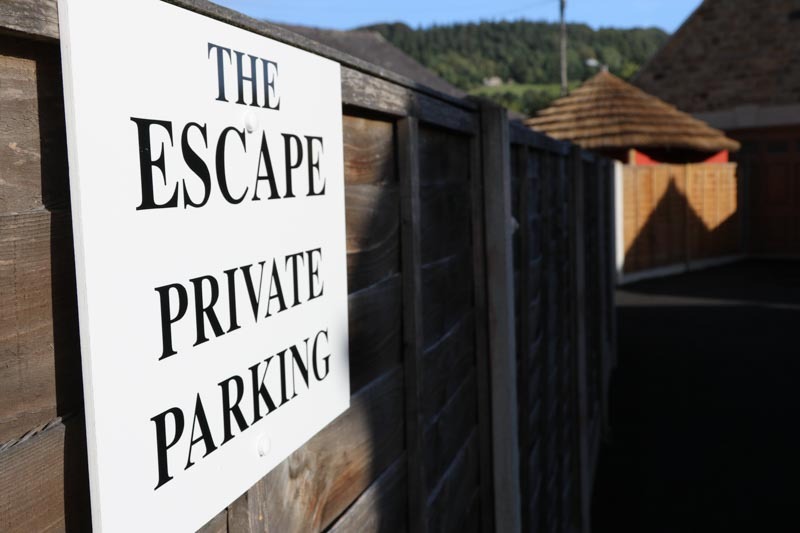 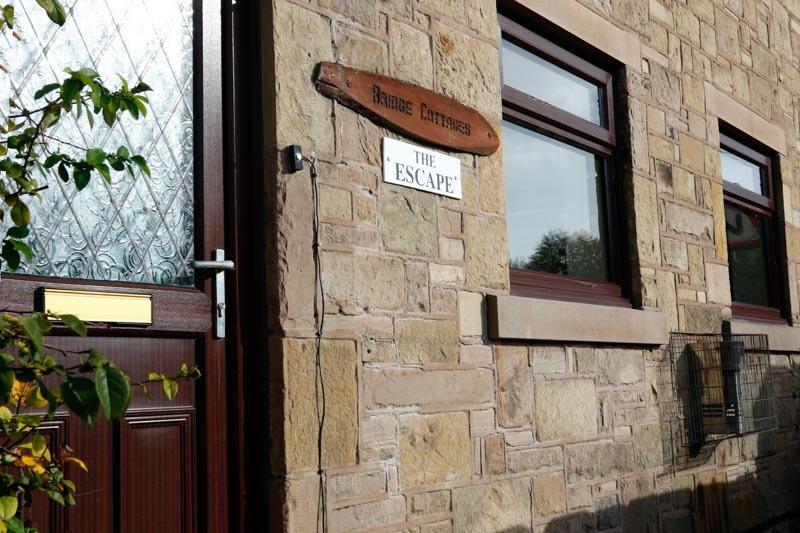 The Escape is self catering holiday accommodation sleeping up to 10 people in the main house, complete with luxury sheltered hot tub and private parking for 4 to 5 cars. 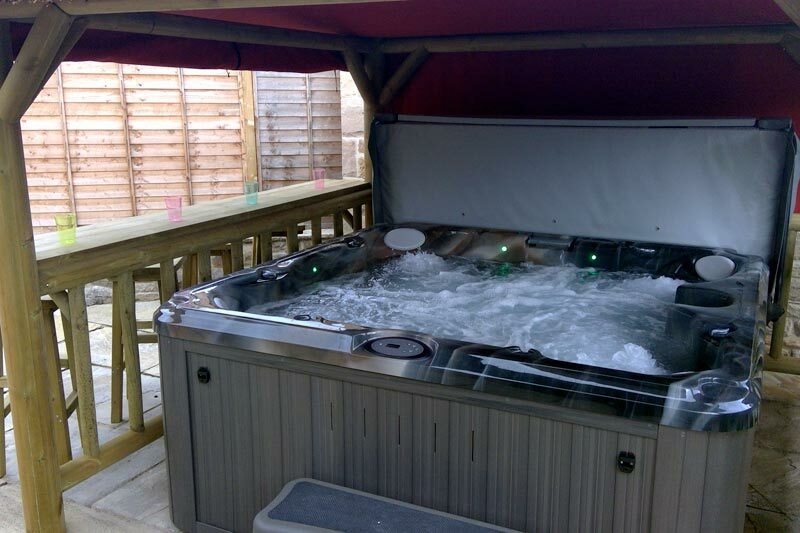 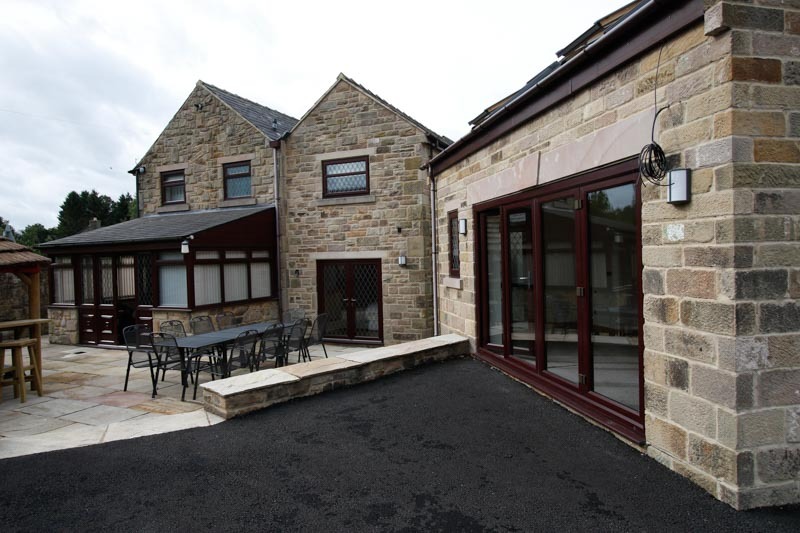 Separate conservatory with extra seating, outside patio area with BBQ, table and chairs seating up to 15 people and luxury sheltered hot tub. 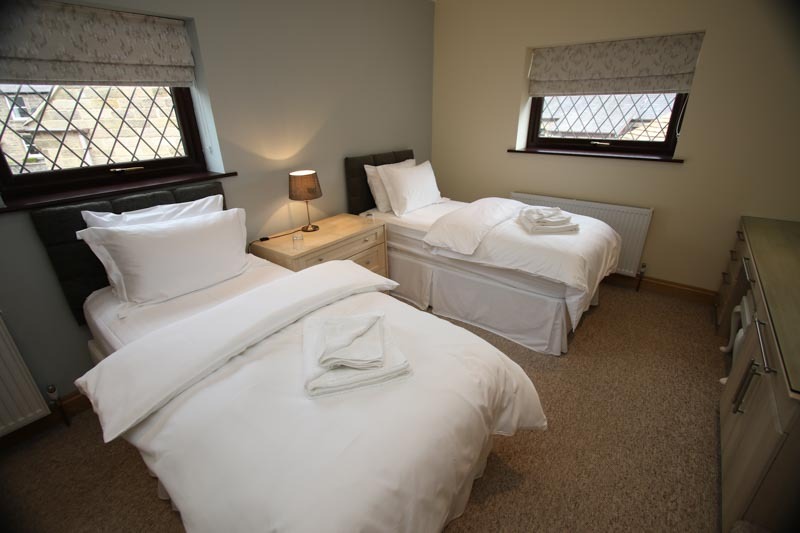 All Egyptian cotton bedding and towels provided. 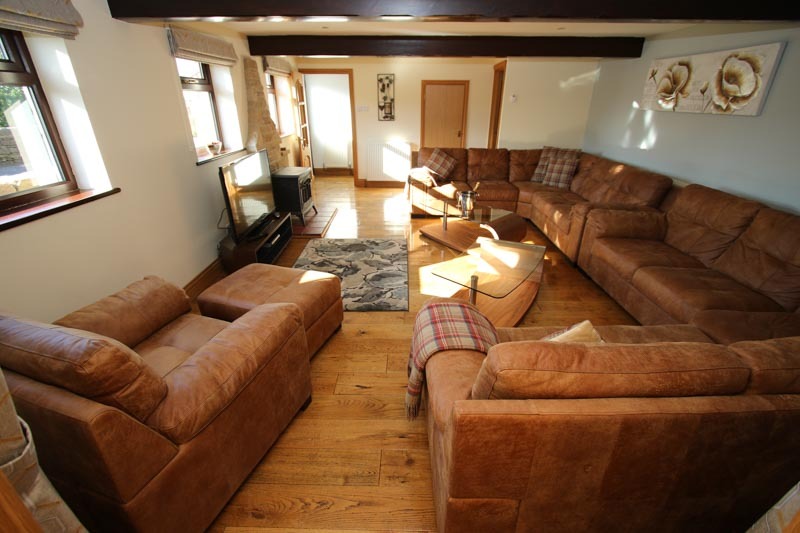 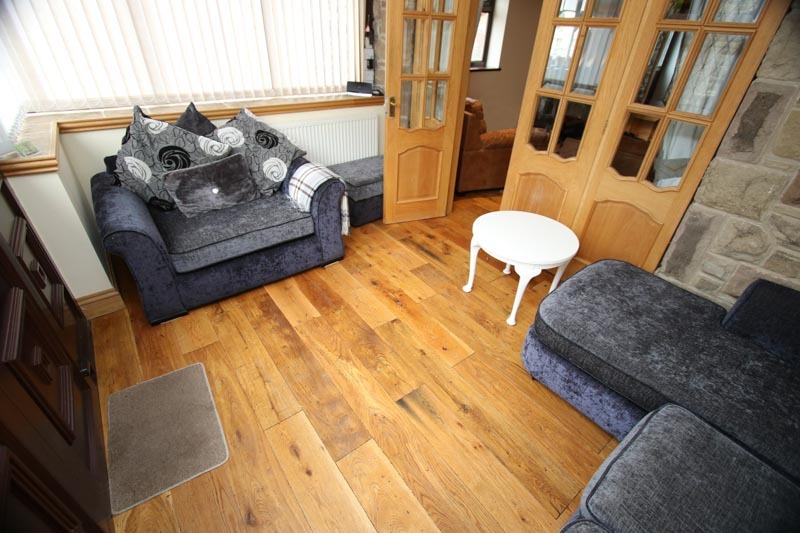 Spacious, comfortable living room with seating for 10/11 people. 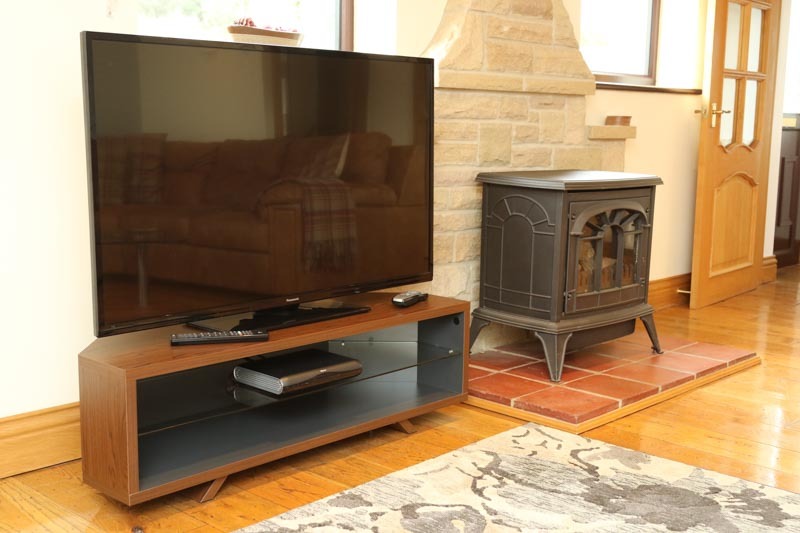 Put your feet up and enjoy the entertainment of the 50” TV with a full sky package and wifi. 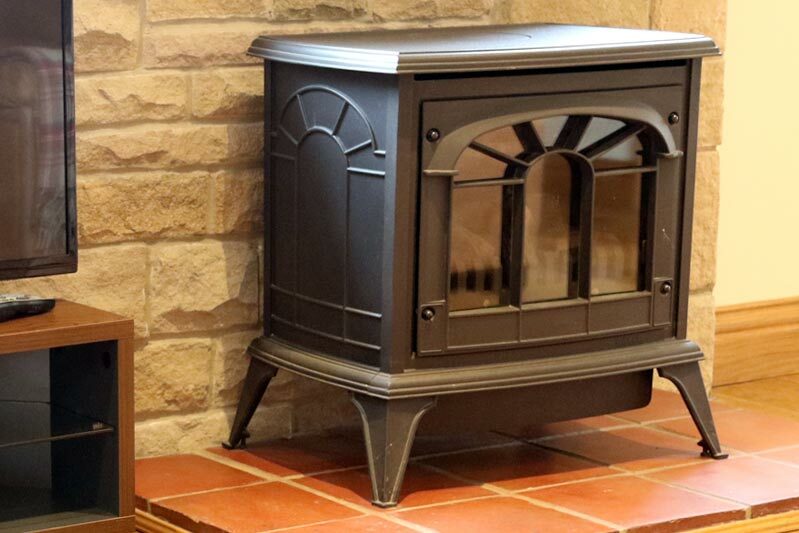 Enjoy the warmth of full central heating as well as the cosy cast iron gas stove. 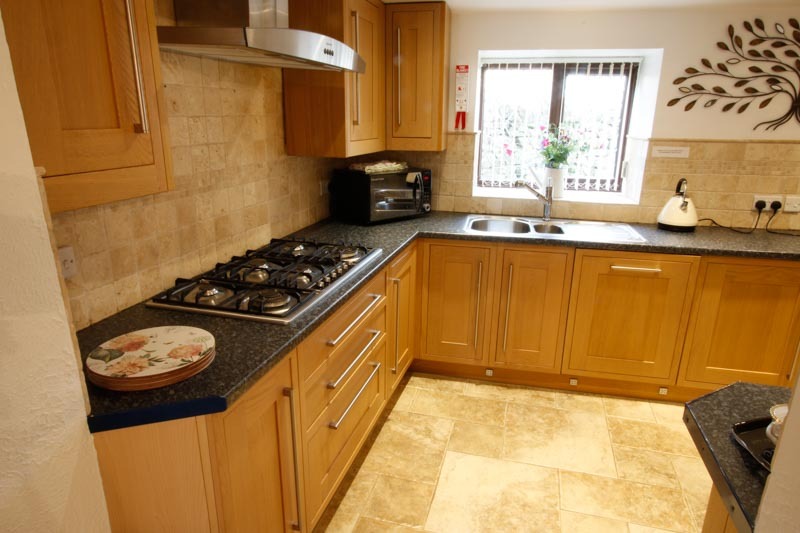 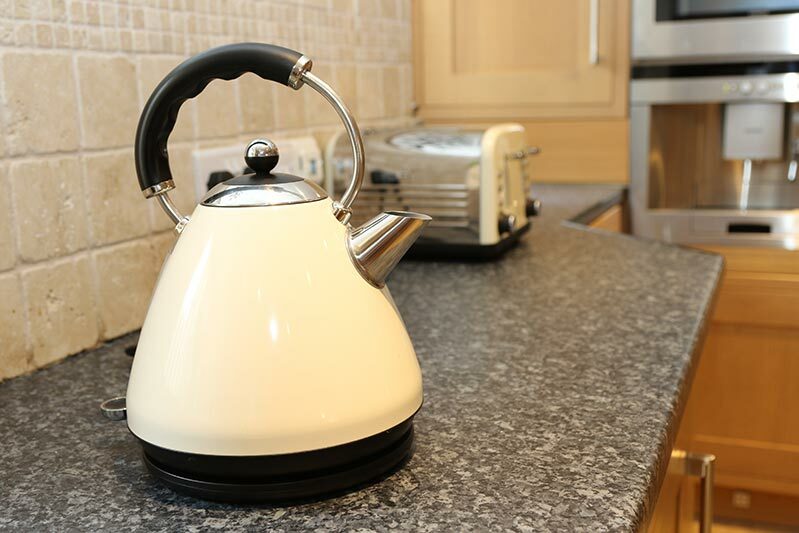 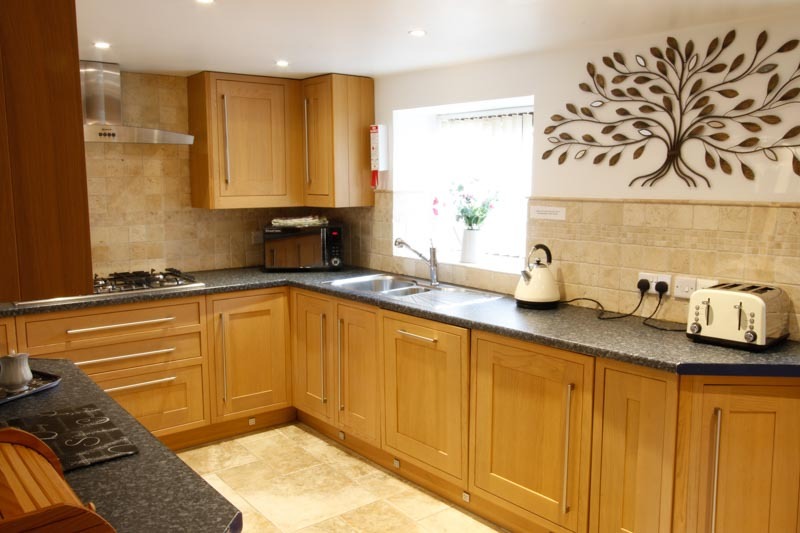 Fully equipped kitchen with oven, microwave, gas hob, additional fridge/freezer and dishwasher. 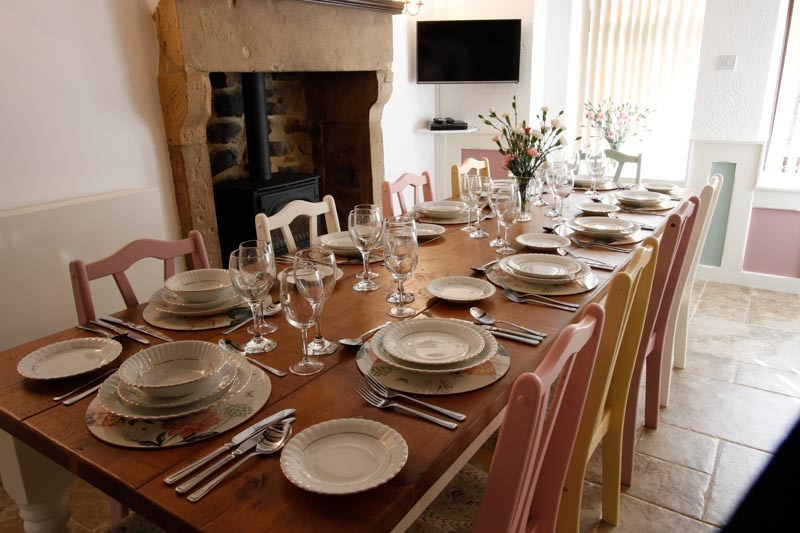 The kitchen adjoins to the dining room – perfect for hosting and socialising at the same time as preparing your meal. 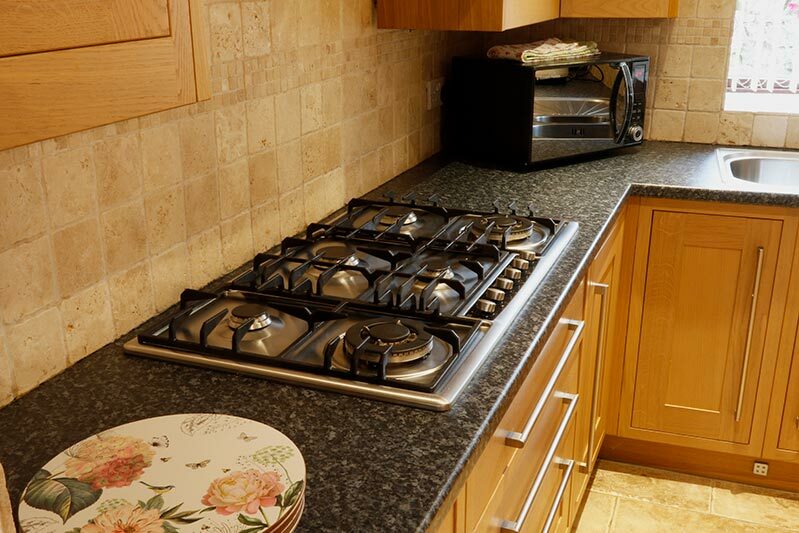 There’s also a TV and gas stove in this room. 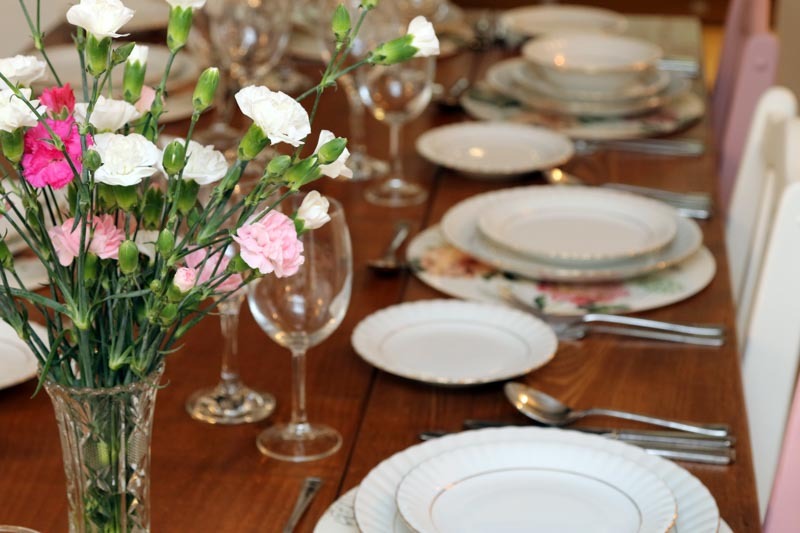 Great for celebrating a big event! 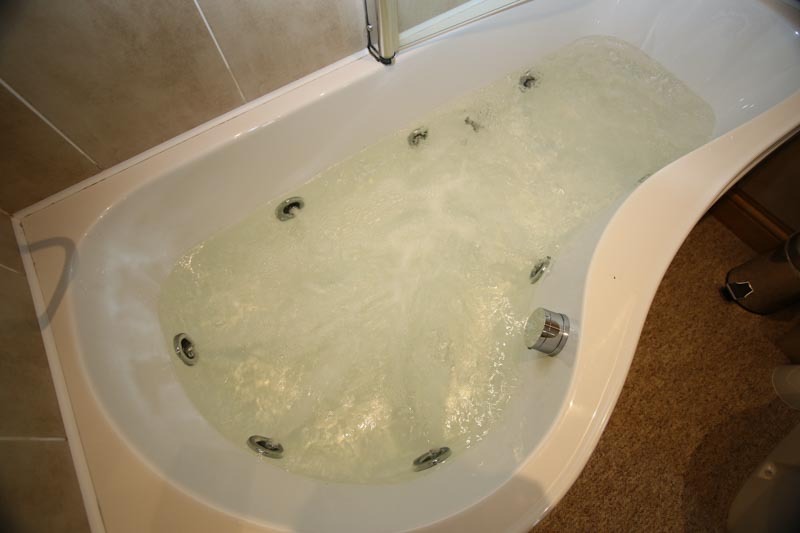 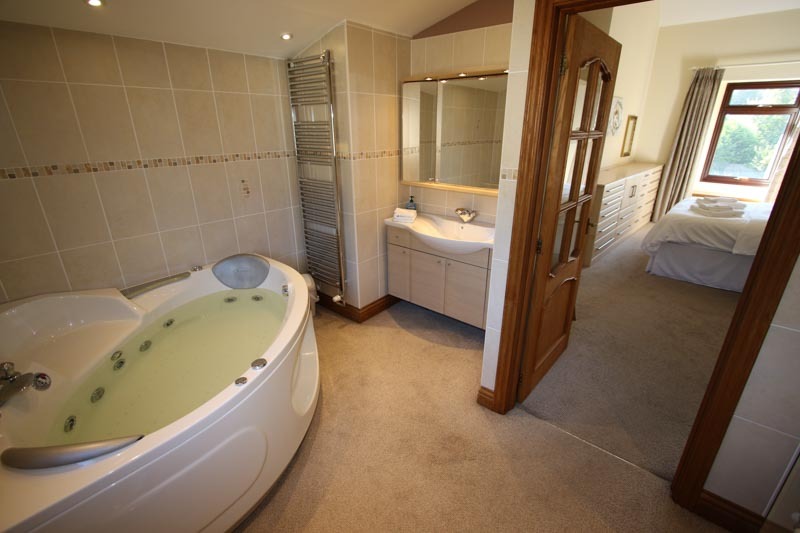 King-sized bed with en-suite double shower and large luxury Jacuzzi bath. 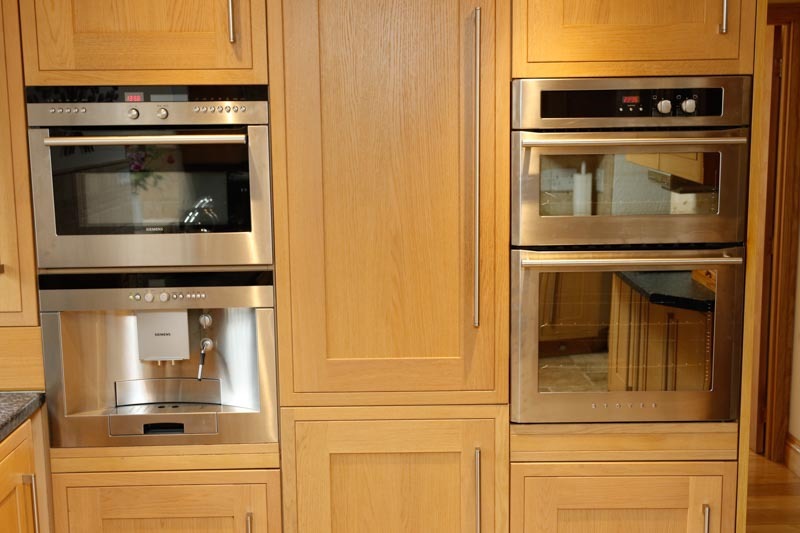 A range of large quantity fitted drawers and wardrobes providing a generous amount of storage space. 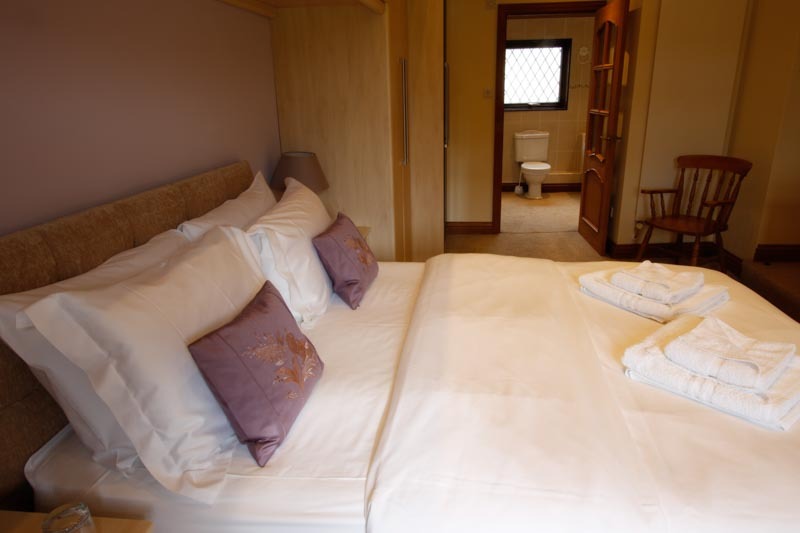 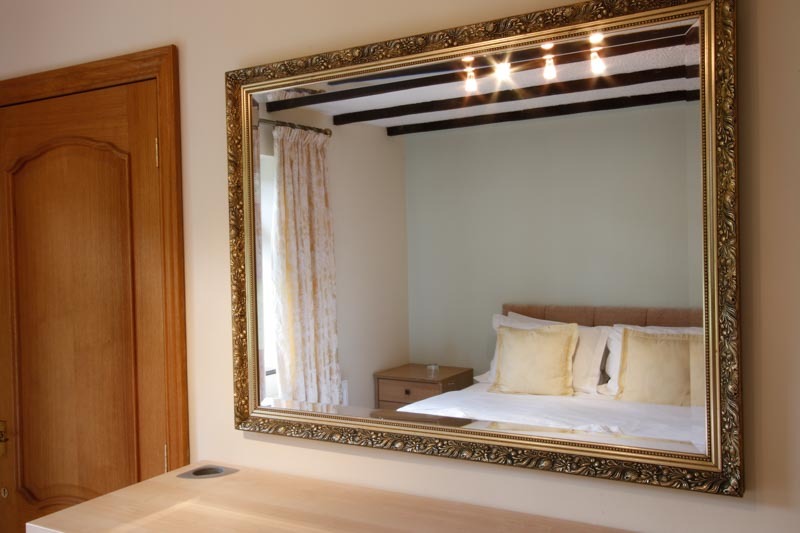 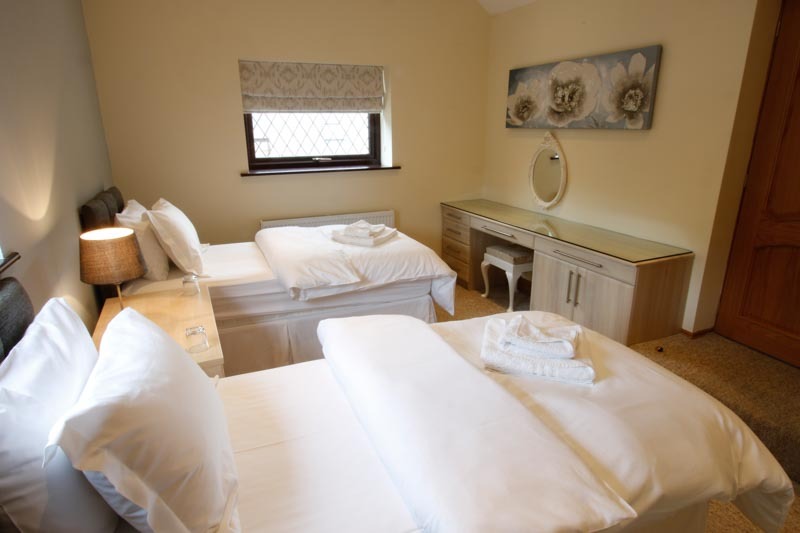 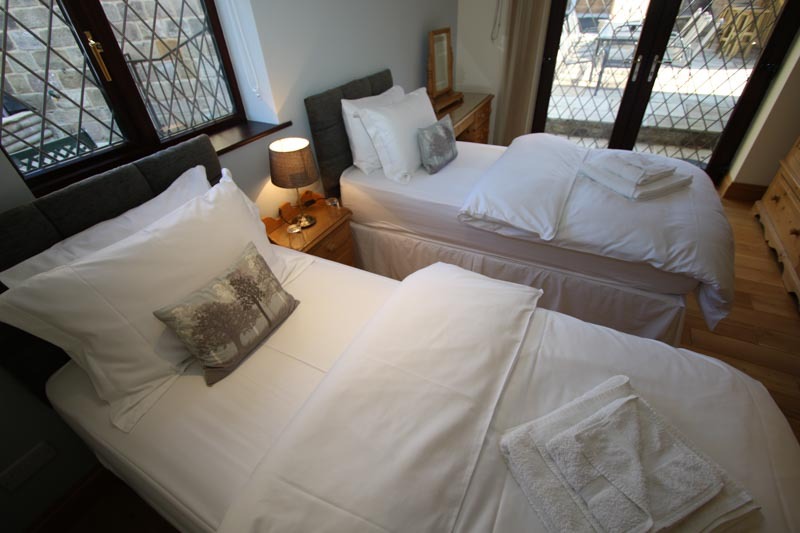 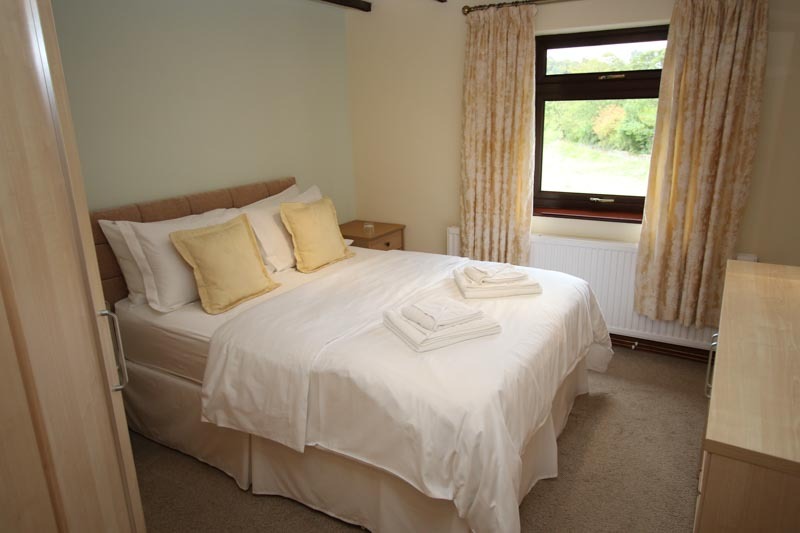 This comfortable twin room leads into an en-suite with a shower over a luxury Jacuzzi bath. 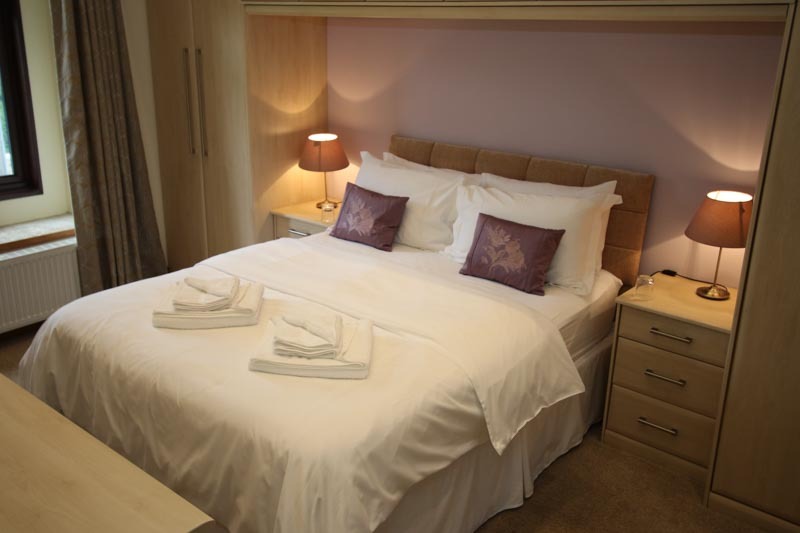 This room boasts a king-sized bed with adequate fitted wardrobe and drawer space. 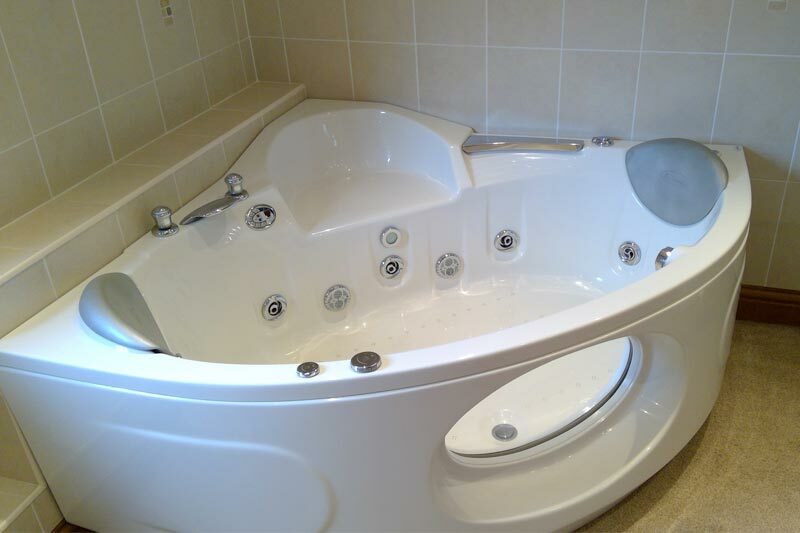 Serviced by the family bathroom. 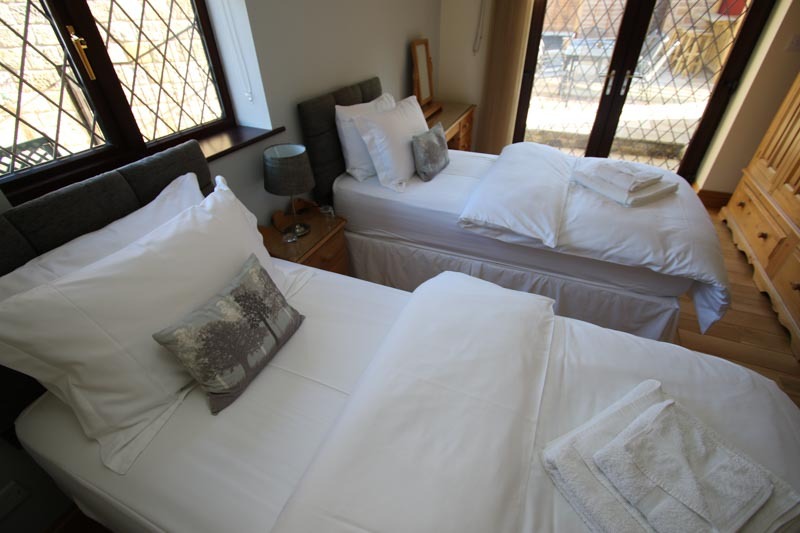 Twin bedroom accommodation on ground floor level with a wash basin and toilet next door for convenience. 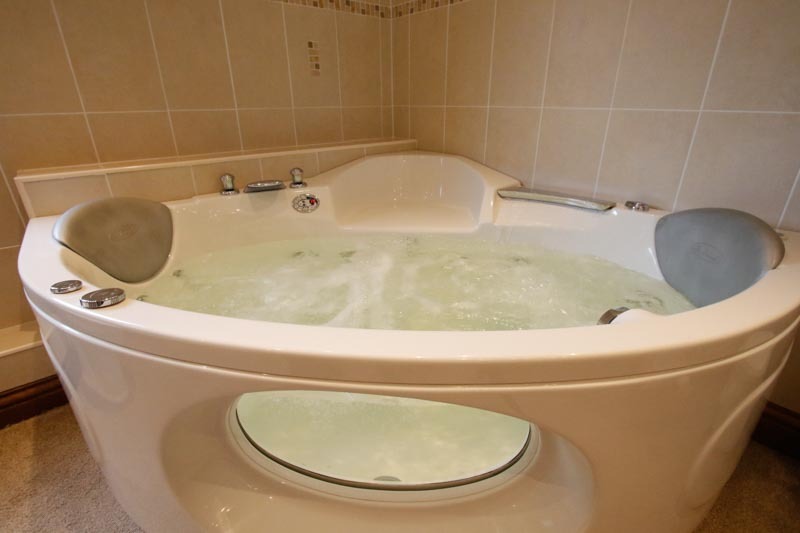 Serviced by the family bathroom or patio doors lead outside to the adjacent hot tub changing room, also on ground level which includes a 900 sized shower, wash basin and toilet. 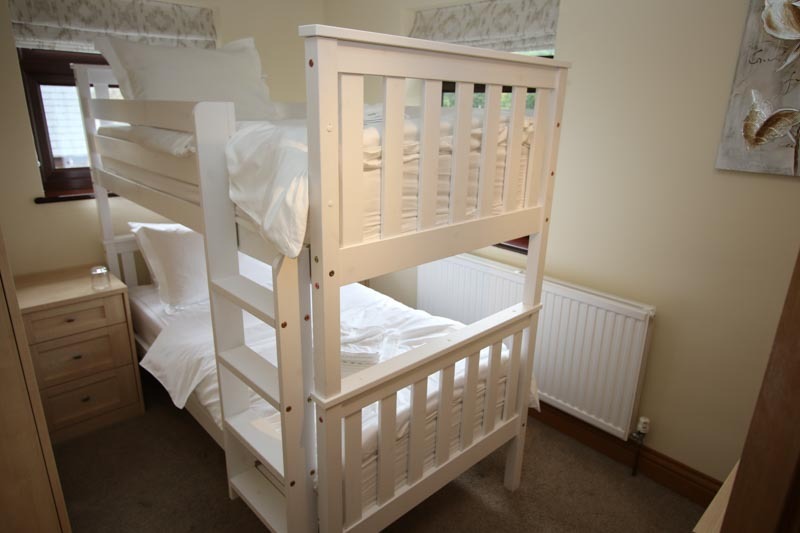 This room includes 3” bunk beds for the delight of the younger generation. 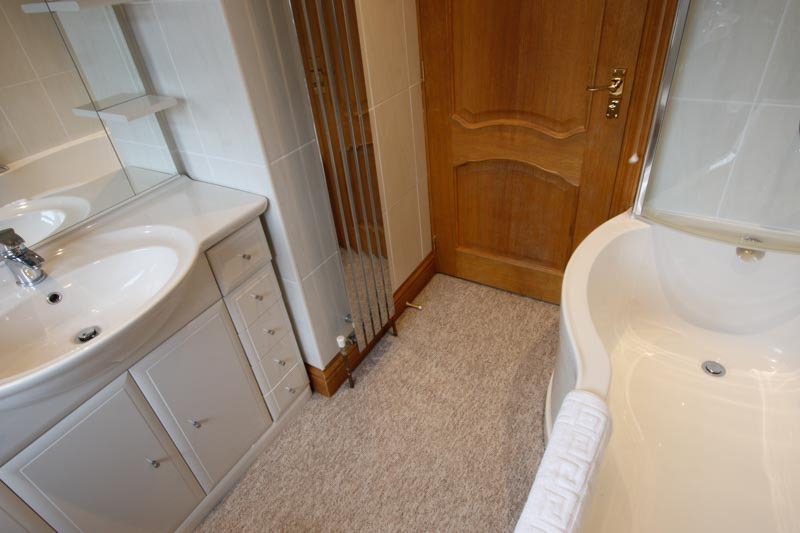 Again, adequate fitted hanging and drawer space is available. 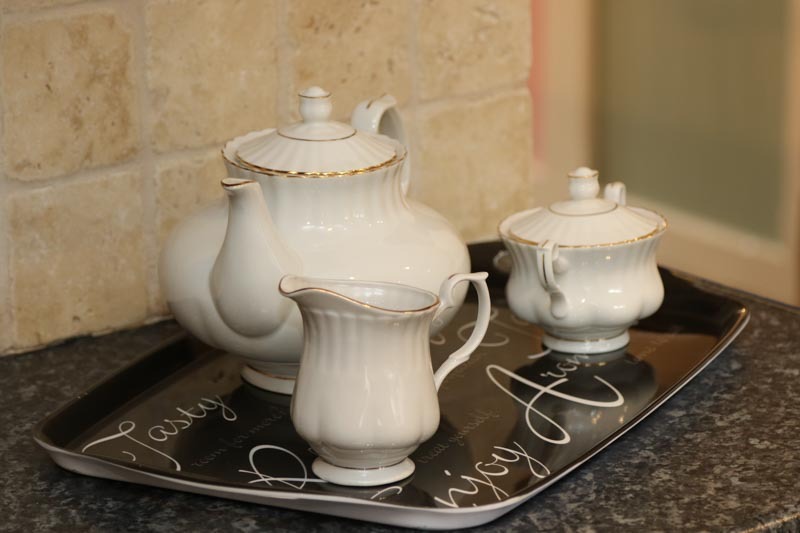 Served by the family bathroom. 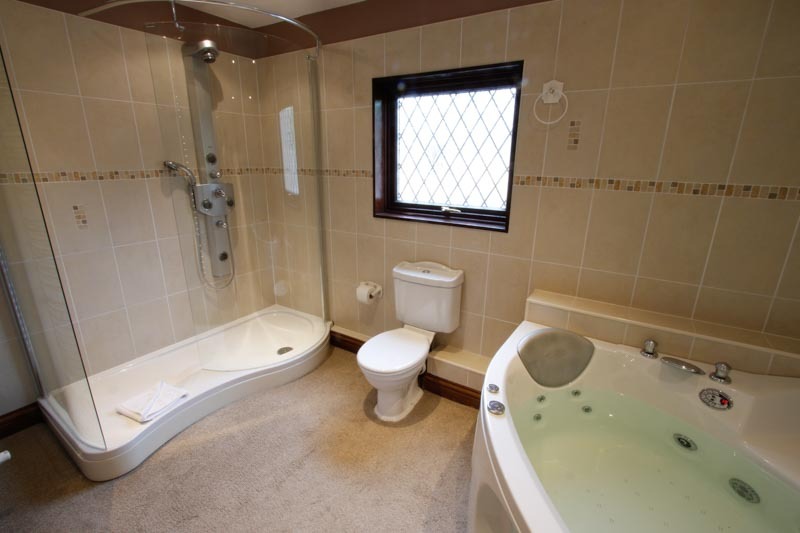 Contains a shower over the bath with a toilet and wash facilities. 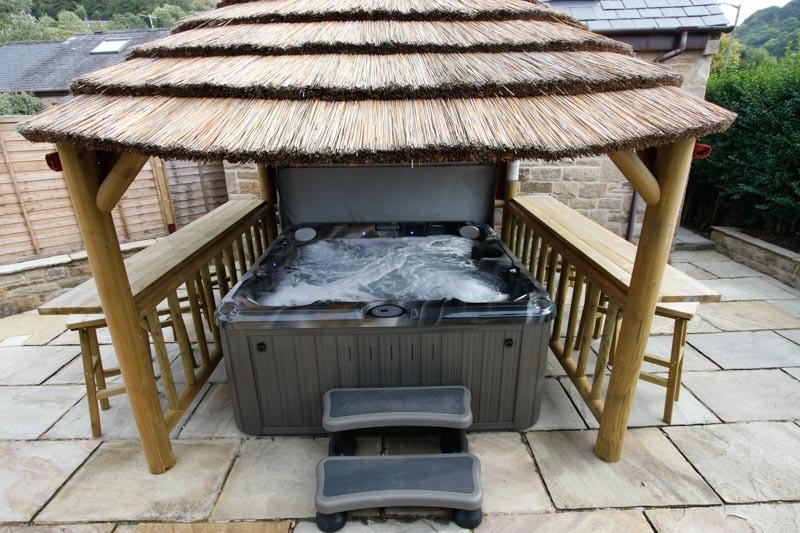 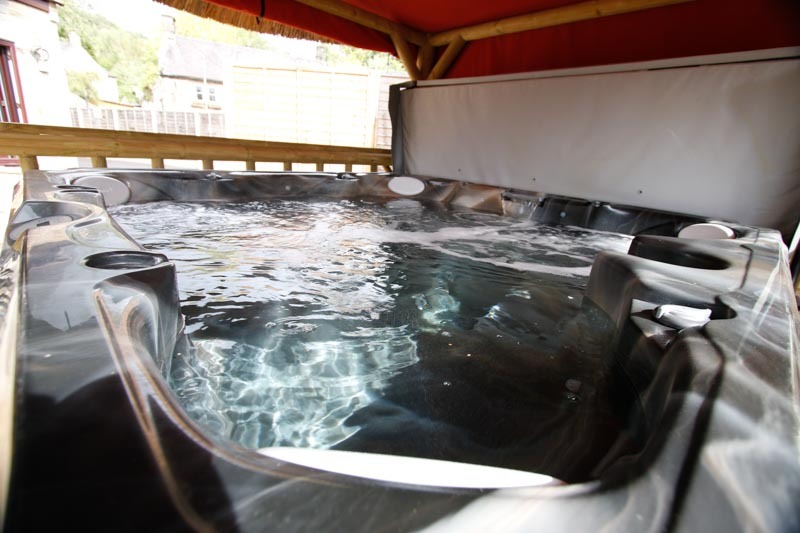 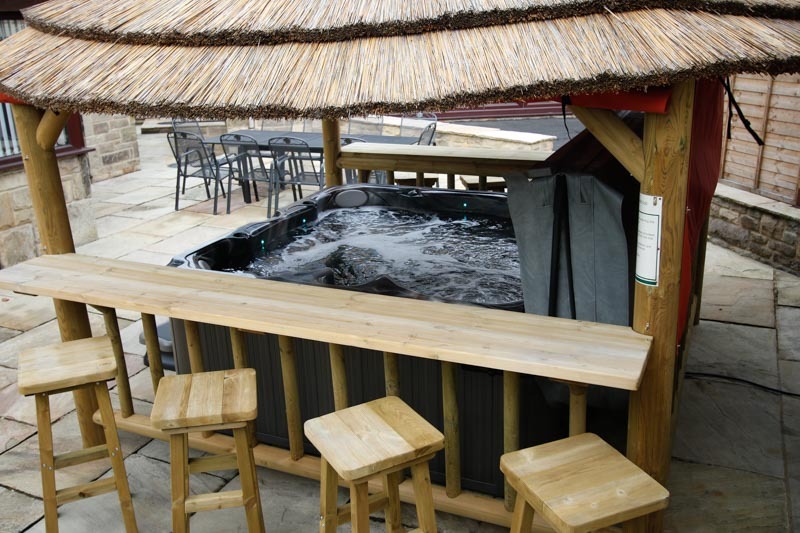 The Escape boasts an open, pleasurable area with a thatched gazebo sheltering the luxury steaming hot tub. 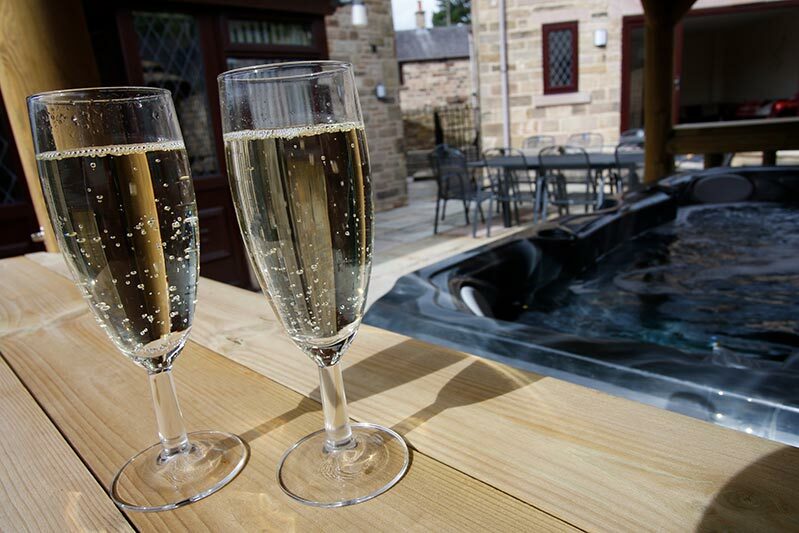 Outdoor glasses are provided so you can add a drink to help with your relaxation. 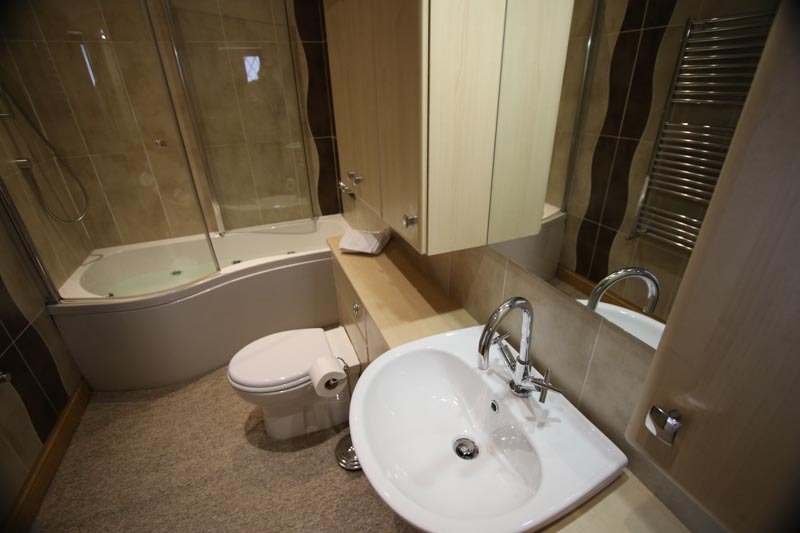 Adjacent is an additional building which offers changing room space, shower and toilet facilities plus a games room. 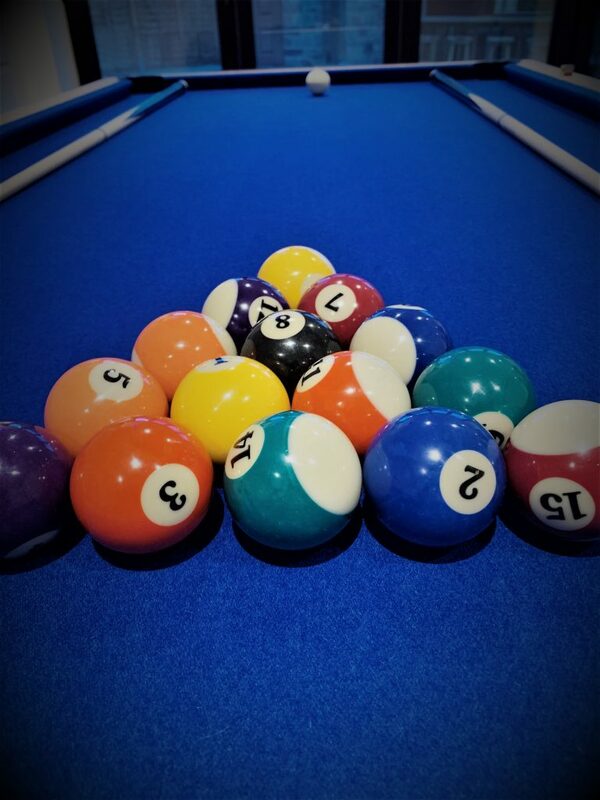 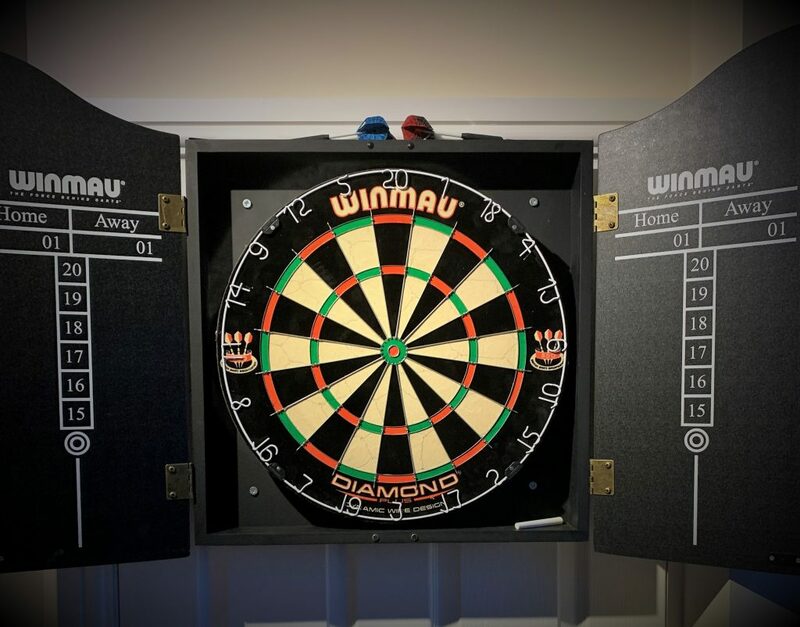 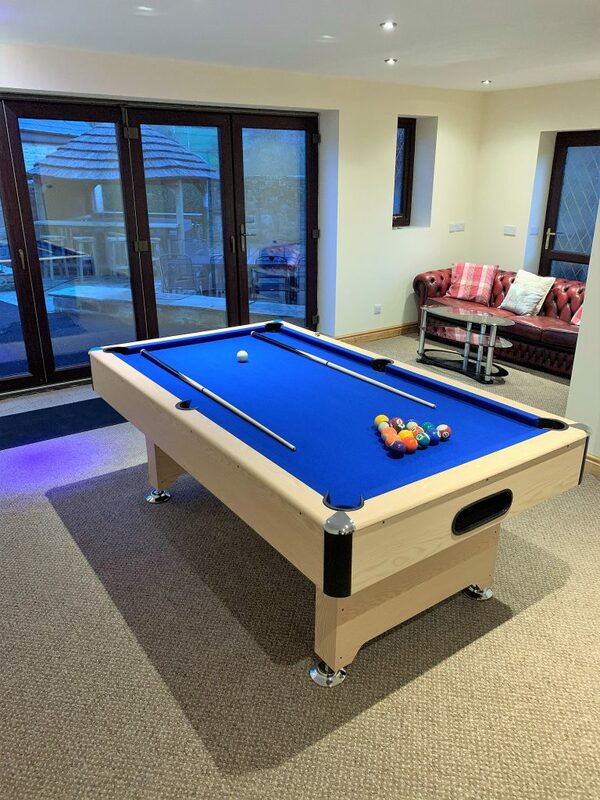 Our Guests can enjoy use of our 7ft Pool Table and Darts Board. 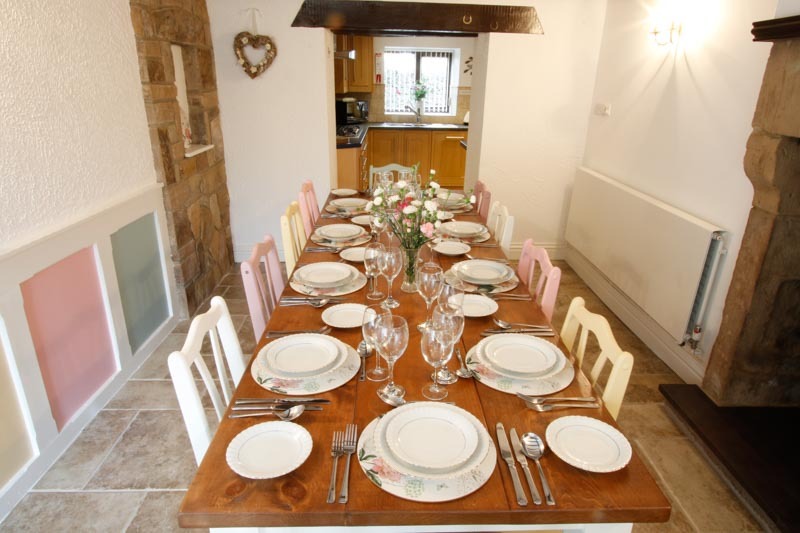 Perfect for all the family. 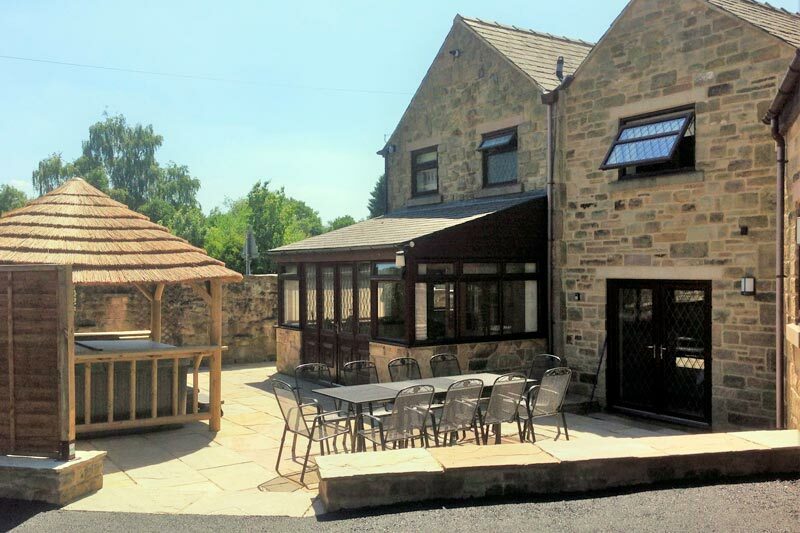 Also on the patio area is a BBQ and outdoor table and seating for up to 10 people.